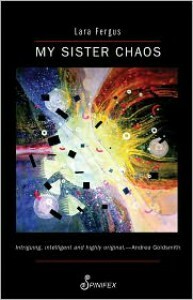 I chanced across Lara Fergus's first novel, My Sister Chaos, while browsing. Intrigued by the title and cover art, I downloaded a preview. Within a few pages, I was hooked. My Sister Chaos, is an intense story of twin sisters living as refugees from genocide. The main character, a cartographer, has found work in her profession and settled down alone. Her obsession with her project to map the house she rents in excruciating accuracy, retreating into a bubble which she can know completely and rationally, mirrors her emotionless self-control. The story begins when her sister, who ran away shortly after they gained refugee status, returns, asking to crash at her house. As the obsessively organized sister struggles to maintain control and stability against intrusion of her emotional, artistic, and undisciplined twin, the story ricochets back and forth between their memories, telling of their different experiences as their native country collapsed around them. The first chapter starts "The house is lit up when I arrive home" and these descriptions of the house as dark or lit begin every chapter, establishing a rhythm which kept me spellbound. Lara Fergus has apparently worked as human rights researcher and advocate for immigrants and refugees, and her knowledge shows in her writing. She conveys a powerful sense of the difficulty of understanding someone who has gone through trauma beyond your own experience. Most of the story is told in first person from the main character's perspective. 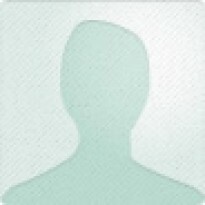 However, her factual, almost clinical descriptions of her own thoughts and the simple confidence with which she analyzes the perspectives of those around her, made me feel a distance from her, despite being privy to her thoughts, as though I was trying to make out someone hidden behind the reflection in a window. The author establishes a similar distance with the sister's story, by telling it in the third person, referring to her as "the sister" and to her lover as "the sister's lover". In fact, not a single character in the book is ever named, nor is their native country, though the events seem most consistent with the war in Bosnia. Though the description is sparing, rather than graphic, the novel does touch on the horrors suffered by civilian women in that conflict.